Forrest Gregg, one of the pillars of the Green Bay Packers dynasty of the 1960s and one of the greatest offensive linemen in NFL history, died at age 85. The Pro Football Hall of Fame, of which Gregg is a member, announced Friday that Gregg had died. Gregg was inducted into the Hall in 1977. Gregg also spent 11 seasons as an NFL head coach with the Cleveland Browns, Cincinnati Bengals and Packers, taking the Bengals to Super Bowl XVI. He also returned to his alma mater, SMU, to coach and revive that program after it was given the infamous death penalty. But Gregg is best known for his prowess at offensive tackle for the Packers. Vince Lombardi called him the “finest player” he had ever coached. Gregg was known for his toughness, as a player and a coach. He battled Parkinson’s disease late in his life with the same toughness. He was diagnosed with Parkinson’s disease in 2011. After he was diagnosed, he worked to increase awareness and education of the disease. Before that, Gregg beat melanoma in 1976 and colon cancer in 2001, according to the Associated Press. Gregg’s toughness was how he survived as a 249-pound tackle, which was considered undersized even for that era. He played a then-record 188 straight games between 1956-71, with his final season spent with the Dallas Cowboys. It’s obvious why he was a Lombardi favorite. Gregg brought that attitude to his coaching career. His hard-nosed style was a reason he was hired to turn around the Bengals, and he ended up leading them to an AFC championship. "Forrest was, in the eyes of the players, a no-nonsense disciplinarian," Bengals owner and president Mike Brown told Cincinnati.com in 2017. "We happened to be personal friends away from football. And Forrest has a heart as big as an elephant's. He's a softy at heart. A wonderful guy. I'm deeply fond of him. But around the players, they weren't sure. They jumped when he said 'boo.'" By any measure, Gregg was one of the most accomplished offensive linemen ever. Gregg was a seven-time All-Pro, and made nine Pro Bowls. He was on the NFL’s all-decade team of the 1960s, and the NFL’s all-time team for the league’s 75th anniversary. 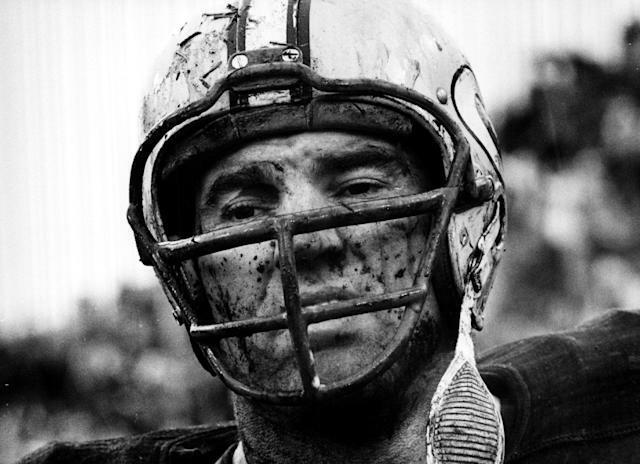 He won five NFL championships with the Packers, including the first two Super Bowls. Though Gregg mostly was a tackle, he’d fill in at guard when needed. In 1965 he was named All-Pro at guard by one poll, and All-Pro at tackle by another service.